Light amber body. 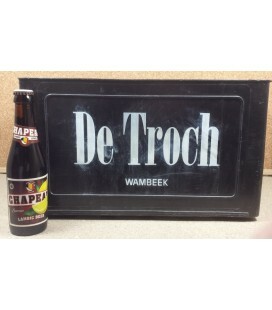 Cookie malts, funky, Apple cider. Quite acidic, tangy, nice. 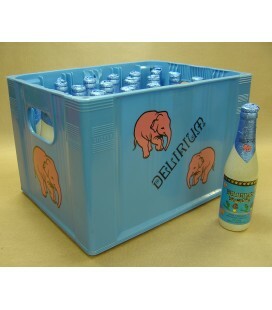 Good spritz low carbonation. 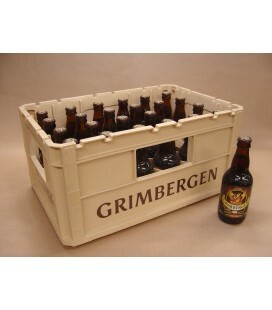 24 bottles including the crate Guldenberg is a tripel-style abbey ale containing 8.5% vol. 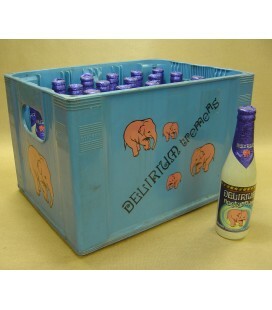 Alc. 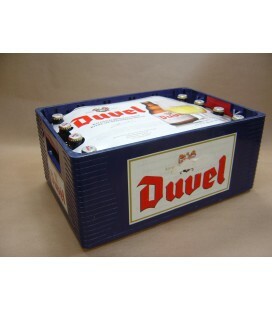 Its colour is blond and it’s made of pale malt with the addition of candy sugar. 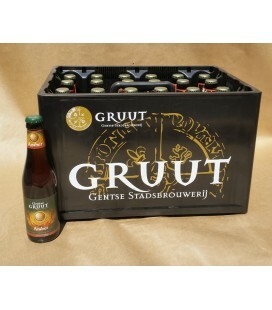 24 bottles incl the crate Spontaneously fermented beer flavored with natural juice of apricot and matured in oak casks. 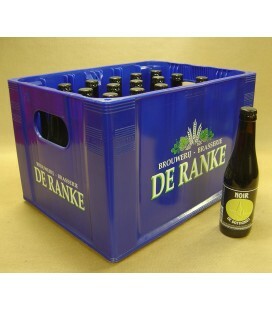 24 bottles incl the crate Spontaneously fermented beer flavored with natural juice of strawberry and matured in oak casks. 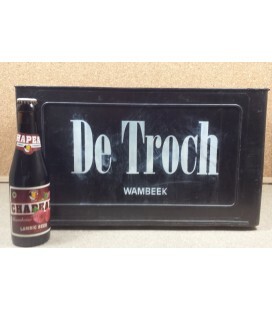 24 bottles incl the crate De Troch Chapeau Kriek Lambic beer (sweetened) Chapeau Kriek is made on base of Lambic, an artisanal traditional product which ripe on oaken barrels. 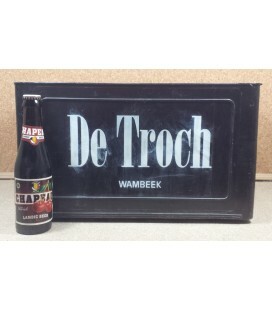 The Chapeau Kriek is a fresh and delicious beer for delightful moments. 24 bottles incl the crate Medium bodied with a sweet fruity aroma. 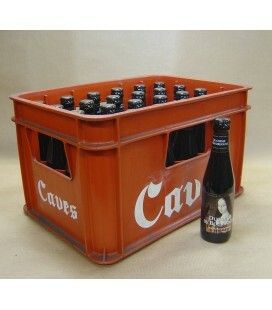 24 bottles incl the crate Belgian lambic beer with natural peaches brewed by Lambic brewer De Troch of Wambeek (Ternat). 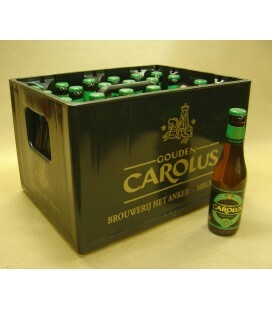 24 bottles including the crate This blond, top-fermented abbey beer refermented in the bottle has a delicate, well-balanced palate with a slightly drier accent of hops. 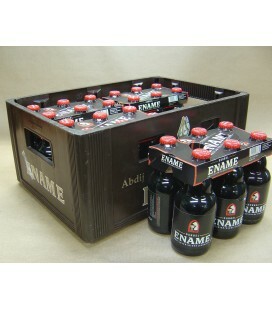 24 bottles incl the crate This brown top-fermented Ename abbey beer is refermented in the bottle to produce a rich aroma of caramel, roasted malt and sweet fruit. 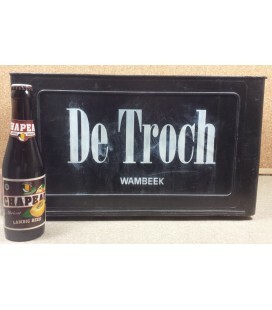 Its dominant caramel flavour is mixed with the bitterness of roasted malt and hops. 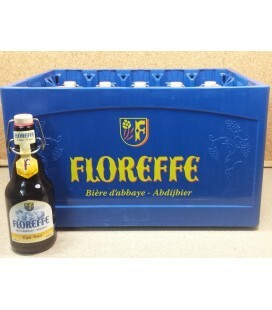 24 bottles incl the crate (2.10€ for the crate) Blond top-fermented Ename abbey beer refermented in the bottle with a full-bodied, somewhat malty palate and a slightly bitter aftertaste. 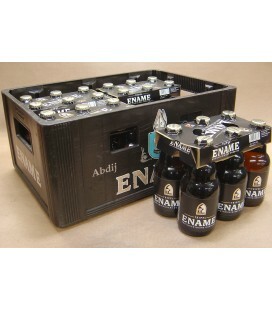 It is a distinguished abbey beer, brewed with artisanal care according to a medieval Benedictine recipe from the abbey of Ename. 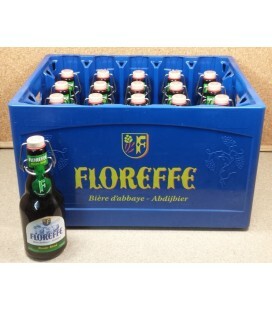 20 bottles incl the crate Floreffe Prima Melior is a connoisseur’s beer, complex but accessible. Stored under good conditions, the aniseed notes give way to woody, almost maderised notes, a must for lovers of matured beers. 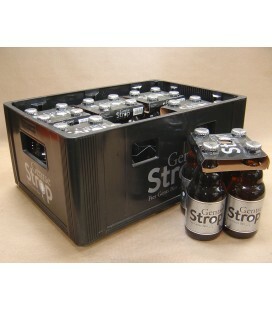 24 bottles including the crate Beer for a taste of Ghent’s proud and noble heritage Gentse Strop is a top-fermented blond Belgian Special Ale, re-fermented in the bottle (6.9% alc vol), to give a deliciously hoppy beer with a subtle fruity aroma. 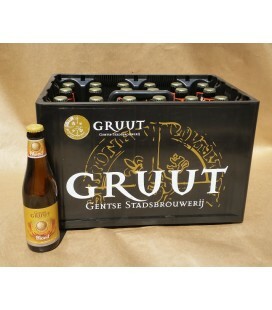 24 bottles including the crate Gentse Tripel is a living hazy blond beer, with a frothy, mostly lasting white head. The aroma is fruity sharp, yet quite gentle. 24 bottles incl the crate Goliath is being brewed according to the traditional method used by our ancestors with the finest maltsand hops. 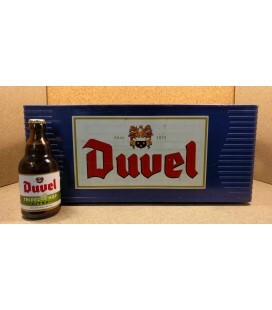 Blond and refreshing beer, re-fermented in the bottle and all-natural. Rich in flavors and appreciated by the specialists. 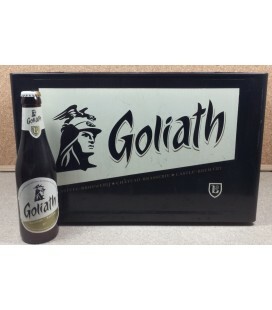 Goliath Blond will lead you through the mysterious world of the Giants. 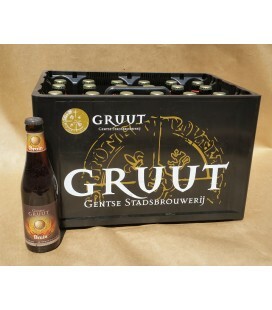 24 bottles incl the crate Goliath Triple is still being brewedaccording to the traditional method used by our ancestors with the finest malts and hops. A characterfull blond beer, refermented in the bottle and all-natural. 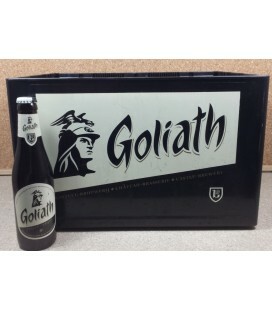 With his rich and equilibirated taste, Goliath is a source of vitality and strength that will satisfy all beer's expert. 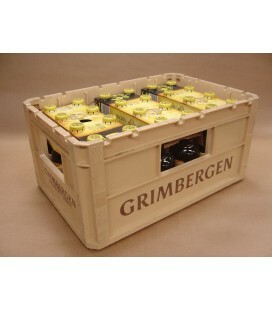 24 bottles including the crate As each city had its own typical beer, the Mechelenians drunk their amber beer: "Mechelschen Bruynen" for hundreds of years. 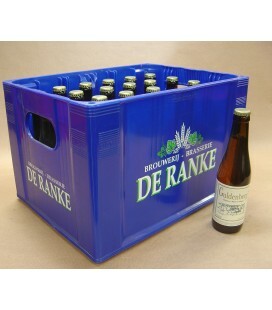 24 bottles incl the crate This "Grand Imperial Beer" is still brewed in the brewery of Mechelen called Het Anker. 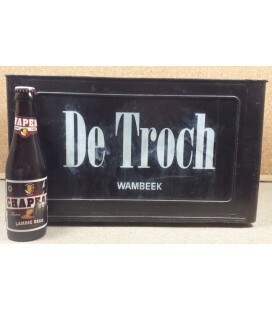 Dark, very balanced dosed caramel and aromatic malts provide, in combination with a traditional high fermentation, a unique beer that unites the warmth of wine and the freshness of beer. 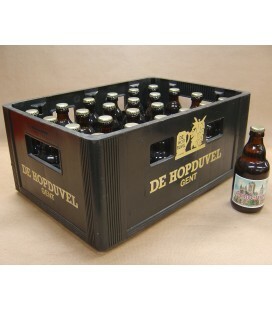 24 bottles including the crate The Hopsinjoor has a gentle taste with a slightly bitter finish. 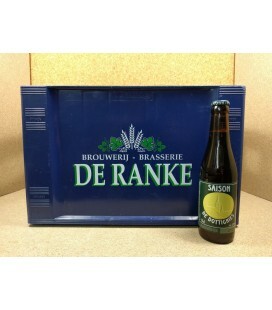 24 bottles including the crate This beer was originally brewed for the Knights of the Golden Fleece in 1491. 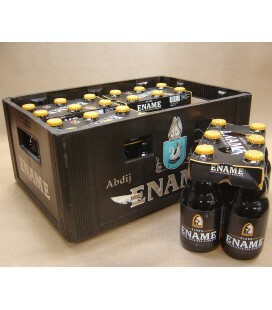 Full graceful tenderness, with a clean and neat taste, this beer will enchant you: matured in the bottle, exclusively obtained from pale malt, highly fermented and 100% natural. 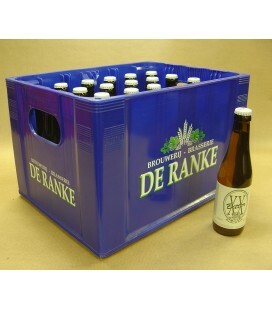 24 bottles including the crate Ochre coloured top fermented Abbey Beer with an abv of 6.7%. 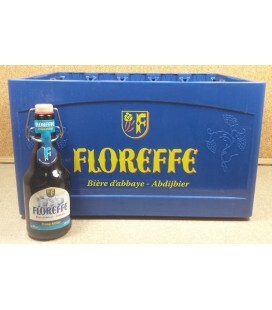 The use of Gatinais barley combined with carefully selected hops creates a perfectly balanced, relatively light tasting beer with a fruity malty taste. 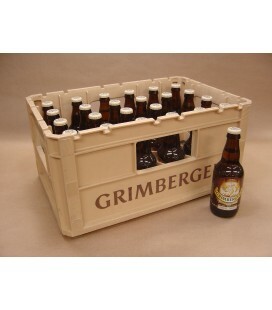 24 bottles including the crate Grimbergen Double has undergone two fermentations, which gives this ale a chocolatey, toffee taste with a warming brandy-like finish. 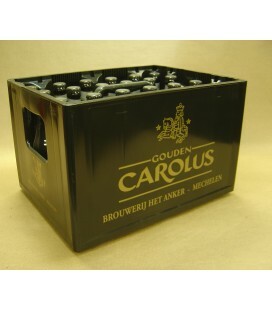 24 bottles including the crate Dark-amber coloured beer, originally brewed as an Easter beer, but now available throughout the year.Very full bitter-sweet flavour. 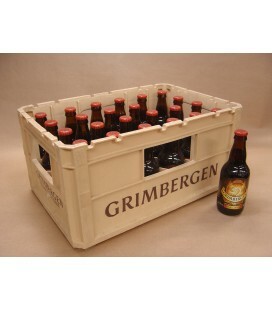 24 bottles including the crate Amber colour, heavy body, strong aroma, sweet, malty.